Mentor’s Display Control gives designers and librarians myriad options for influencing how a design is displayed on the screen. The goal of any display scheme is to have any information a designer needs readily visible, so more time is spent working, as opposed to scouring the design for the portion you wish to work on. 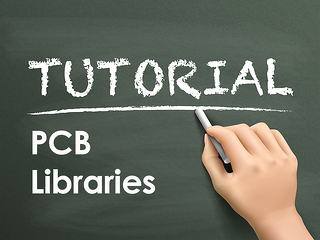 While the individual colors chosen are personal preference, best practices exist for both library and PCB design work. Let’s take a look at how many of Optimum’s librarians configure their Display Controls. The goal of adjusting the default colors in Display Control is to ensure all portions of a PCB footprint are visually distinct, and able to be quickly identified by a librarian or designer. Display colors can be adjusted from Mentor Cell Editor by clicking View > Display Control. Note: For the purposes of this article we’ll be looking at one ODA librarian’s standard setup, individual color choices will vary by user. The most important factor is that all colors be unique for easy identification. Next, we’ll take a look at line and typeface width, height, and font. Maintaining consistency in the library begins with part labeling. Ensuring that labeling is consistent across all parts leads to cleaner designs and less problems during layout and assembly. 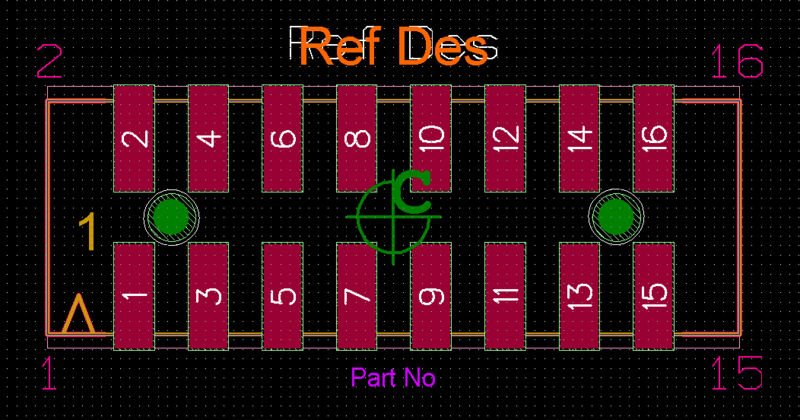 The primary goal of line widths for the various part layers in a PCB library component is to ensure that all layers are easily visible when stacked on top of one another. This allows a librarian to quickly verify that all necessary layers for the part are both present, and accurate. The goal of text on a PCB component should be to clearly identify the part number and reference designator to the designer, and have consistent silkscreen sizing for easier assembly.